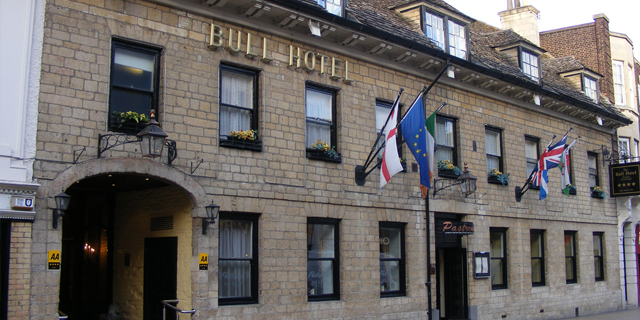 For over 30 years The Bull Hotel had been using a BT Regent phone system, which, in the words of the their Maintenance Manager, Howard Vacca, was becoming ‘antiquated'. "It actually still worked incredibly well and did everything we wanted it to do, the problem was that BT no longer supported the system; we hadn't been covered by maintenance for two years and spare parts were becoming increasingly difficult to get hold of," said Mr Vacca. "We desperately needed a new system ¯ but we wanted to ensure that the one we eventually chose had the potential to last us for another 30 years!." "We'd previously been speaking to GreenCity Solutions about the PeterboroughCore project, and phone systems had cropped up in conversation. Being a local company, we viewed GreenCity Solutions as a key potential technology supplier and by that time we'd been looking for a new phone system for about two years. We'd talked to other comms suppliers, but none of them were convincing and they certainly didn't take the time to explain things in a clear and concise manner in the way that Rob from GreenCity Solutions did," continued Mr Vacca. "We'd already received quotations from BT, Mitel and Panasonic so we had an idea of general costs, but we really liked the SpliceCom system proposed by GreenCity Solutions. It's 100% British made and very well priced. It actually came in under the other quotes, and gave us a whole lot more for our money," enthused Mr Vacca. "In addition the SpliceCom PCS 552s seemed the perfect IP handsets for our office staff to quickly and easily transfer calls between departments. In the end it was a very easy choice for us to make." "The installation was fantastic and was completely seamless - we experienced no downtime whatsoever," continued Mr Vacca. "The new SpliceCom system was installed next to our existing BT system, we then switched the trunk lines over. There was no disruption to guest services, no complaints and definitely no loss of business. We planned for up to an hour of downtime, so this went far beyond our expectations, it all worked from the off. The GreenCity Solutions engineers were extremely professional, very thorough, very clean and above all very considerate. The Engineering Manager was extremely thorough, and took his time in making sure everything was working before he left." "The roll out was done in one hit, over 4 days. There was lots of new wiring to install, along with a new server cabinet. However, it only took one day to install and swap over the new telephone system and a days worth of thorough training. We had three planning meetings leading up to the installation, all very thorough. It was important, it was right and we had covered everything. It all went so smoothly that I can't see any reason why we wouldn't extend the system to the nine other sites in the Peel Hotels group," said Mr Vacca. "If you are looking for a complete voice solution fully supported by a knowledgeable local supplier then SplicecCom and GreenCity Solutions form the perfect partnership. A sturdy, robust and resilient telephone system that helps your business to go the extra mile when it comes to customer service, fully backed with a professional, knowledgeable and accessible service from GreenCity Solutions. Our Head Office is extremely pleased with the new system, and is looking to roll it out to more hotels and offices. As for The Bull Hotel right now, it fair to say that our new telephone system does more than we ever expected!" concludes Howard Vacca.